Our guillotine style vinyl tile cutter makes cutting and installing vinyl tiles a snap. Machine has a built in measurement gauge, hardened steel blade, and can cut tiles up to 12" x 12". 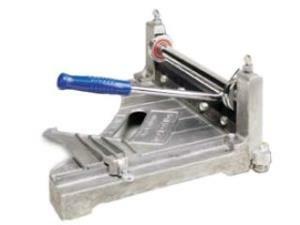 * Please call us for any questions on our vinyl tile cutter rentals in Hillsdale and Ridgewood NJ.